Gracie chases motorcycles. Yes, you read that right, she chases motorcycles and four-wheelers. Which leads to another interesting aspect of life with horses. I knew about the four-wheeler gig. Kevin and I would go over onto the neighbor’s 200+ acres to check on the horses in the wintertime. They learned to come running when they saw us. You know, the old carrots in the bucket trick. For fun, Gracie would run along after the four-wheeler just like she was running with another horse. Willa would join the run. We’d all stop at the flat spot not too far up the hill. “Who, me? I didn’t step in the pumpkins!” Gracie’s look of innocence. The evidence is probably stuck in the front shoes of one of the horses. I wonder which one carries the remains of squished pumpkin starts. This also reminds me that after trail riding season (summer) maybe Gracie and I will be pursuing cow-horse training. Or possibly we’ll take up motorcycle racing–after all quarter horses are known for their sprinter’s speed. Although pumpkin rolling might be interesting. This entry was posted in authors, California Writers Club, farming, horse crazy, Horse racing, Horses, Kids' stories, Ponies, riding, trail riding, Writers. Bookmark the permalink. I bet you thought you were done with child-raising, hmmm? They are beautiful and have such great character. Nice picture opportunities, right? Thanks, Arletta! Yes, they are a kick! Now how about posting what you’re learning about prep work for publishing HUACHUCA WOMAN? Okay already! I’ve been thinking of posting something on my blog, which has been neglected. Will get to it over the weekend…Thank you for the kick in the seat…does that come from horse training so much? Any guess, Kathy, as to which one left evidence in the pumpkin tray? Super fun and frustrating for a gardener’s heart (I trying to catch up on vegetable and melon planting), your story made me laugh. Pets do need parents. Some just defy all rules, others are too big for their horse shoes. Thanks for the fun comment, Deborah! And the “like.” Yes, and Gracie eats marigolds too. I didn’t think anything, including the deer, would eat marigolds. 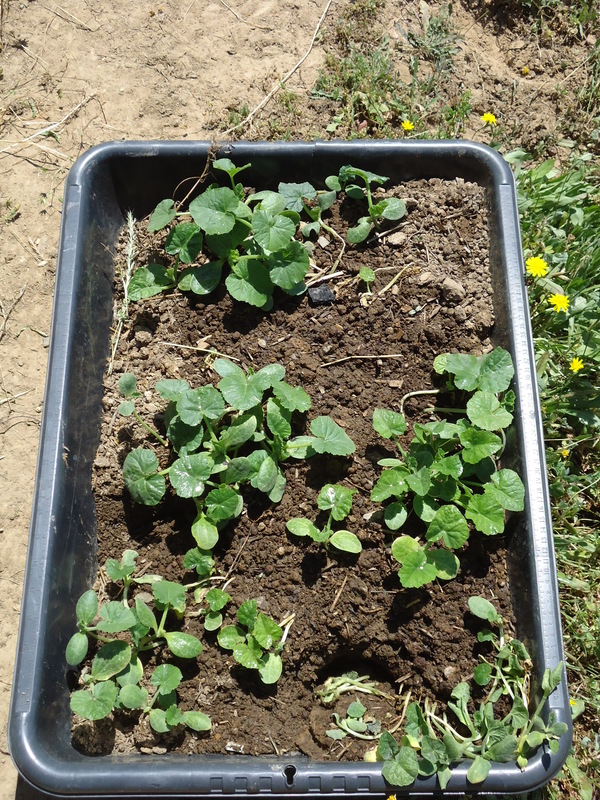 So far, no flowers planted yet for this spring. 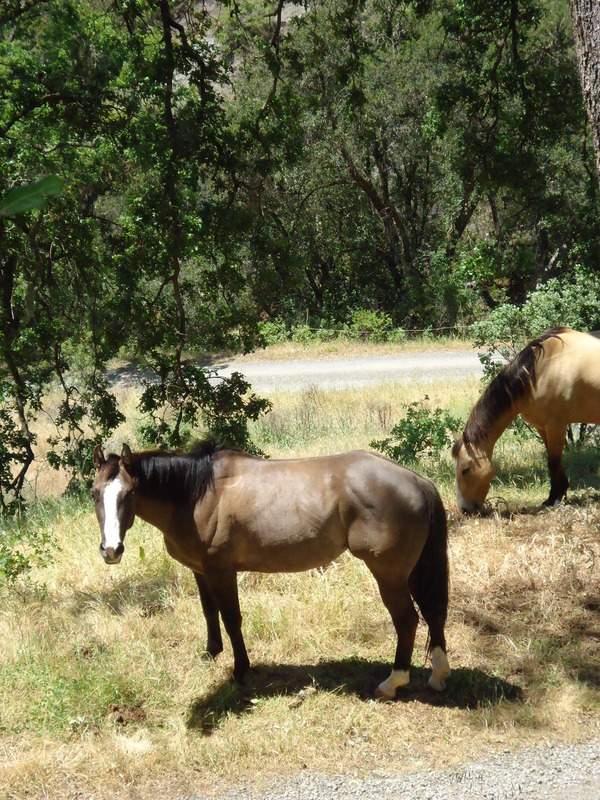 Horses are on “fire patrol” around the yard–eating as much grass as possible. Hopefully, they won’t sample the tomato plants which are already in the ground.